It’s springtime! In Mississippi, at least, it’s been spring for quite some time and actually hit 80 degrees last week. In celebration, let’s highlight some springtime tales for your displays! These books either have or are coming out this spring! 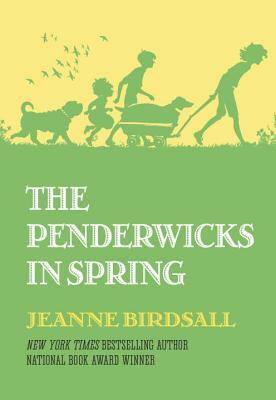 It’s the latest Penderwicks book! These are so lovely and the latest one is no exception. Available now, the fourth book in the Penderwicks series has a lot of heart and surprises for each family member. 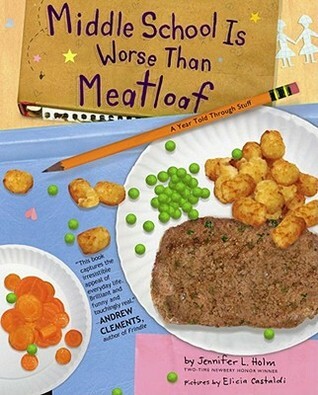 Your kids that have loved the last three books won’t be disappointed by this one. 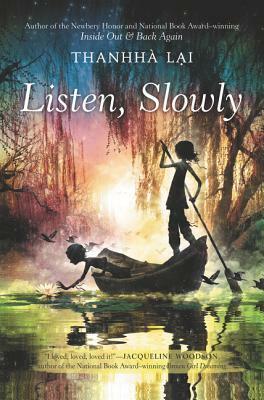 Listen, Slowly is a gorgeous tale of a California girl who spends her summer with her grandmother in Vietnam. She must learn to find the balance between her two worlds. An excellent follow-up to Lai’s National Book Award Winning Inside Out and Back Again, this one is gorgeous and evocative. 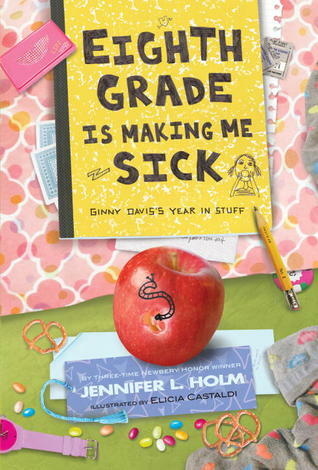 Your students that love to read about other places will devour this one. It’s a great time to be a comics fan. There are loads of amazing ones coming out right now. The Newbery, Caldecott, and Printz committees all recognized graphic novels as honor books this year. People are starting to sit up and pay attention to the world of comics and graphic novels, so I am here with a list for your kids (AND YOU!). Happy reading! And welcome to the comics life. 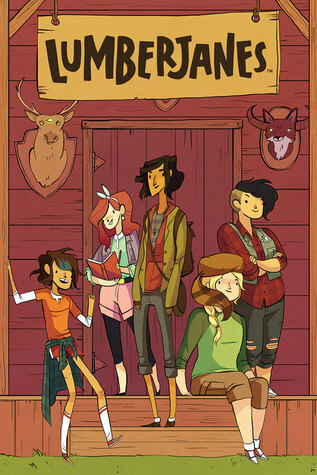 Lumberjanes is by Noelle Stevenson, Grace Ellis, and Brooke Allen. It’s published by Boom studies in single-issue format, but the first trade paperback (collecting issues 1-4) is out on April 7th. Y’all, this one is so incredible. Feminist, funny, and constantly focused on friendship, this series is set at a summer camp and shouldn’t be missed. PrinceLess hasn’t been checked in since we got it. Your kids are gonna love it. 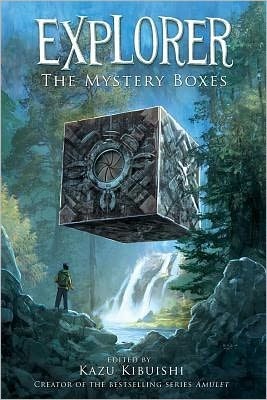 The Explorer books (there are three) are comics anthologies edited by Kazu Kibuishi, whom your students already know because they adore amulet. 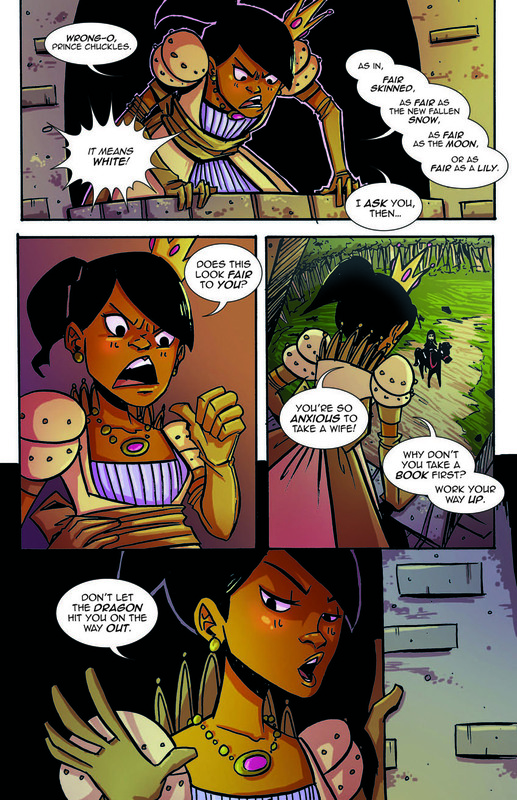 This trilogy asks well-known comic artists like Raina Telgemeier, Emily Carroll, and Faith Erin Hicks, to write comic shorts based on a topic. They’re amazing. There’s something for everyone in this series! Ms. Marvel by G. Willow Wilson. 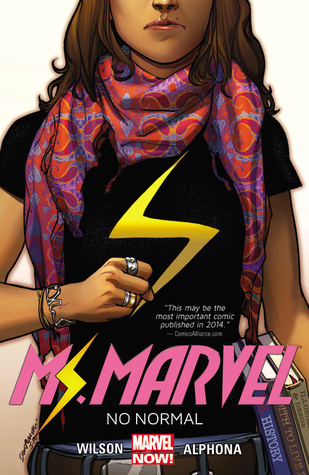 Kamala Khan is a Pakistani-American teenager in Jersey City who suddenly and quite accidentally becomes empowered with extraordinary gifts. She has to figure out how to handle being a typical Muslim teenager–who’s now a superhero. Honestly, when I discovered these (there are two so far), I bought them based solely on the tagline: “Yet another troll-fighting 11-year-old Orthodox Jewish girl.” Basically, that’s enough to sell me, but Mirka is fun and amazing and her religion is shown as something that’s part of her life, not something to be overcome or chafed against. Plus, dragons. 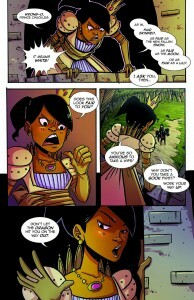 This is just a really small cross-section of all of the wonderful comics for kids that are being published right now. I hope you and your kids love them as much as me and mine do! Our cross-poster from YALSA today is Ally Watkins (@aswatki1). Ally is a youth services librarian in Mississippi, and has worked with ages birth-18 for the last 6 years. Halloween is this week. Isn’t that nuts? ‘ I’ve had kids in my department for weeks, asking for Halloween books, for ghost stories, for scary stories. 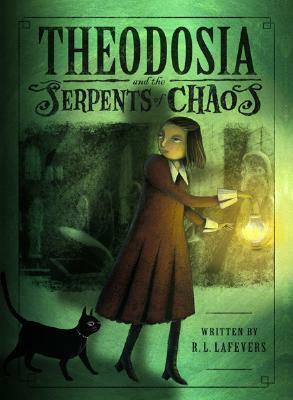 The Theodosia Throckmorton series by R.L. LaFevers: Theodosia can see curses and get rid of them. This comes in handy as her’ parents work in a museum and there are artifacts with curses everywhere. 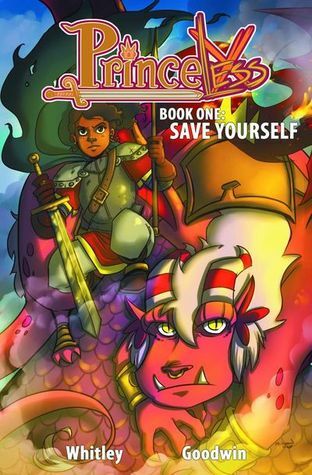 ‘ This is a fantasy adventure and though there are some creepy parts, it’s mainly pure fun as Theo tries to save Britain from ancient Egyptian curses. ‘ There are four of these. YALSA has a wealth of resources, including lists of award-winners and other selection resources, available for librarians. One of these go-to is Teens’ Top Ten. Since 2003, teen groups across the country help narrow down the vast number of books published for young people each year into a short list. Then teens across the country vote on their favorites to form the Top Ten list. What makes this a fantastic resource for librarians? It’s essentially a vetted bibliography of titles that teens are saying are likely to appeal to the teens in your library. What Was Your Favorite Award Winner This Year? 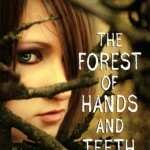 Mine was The Forest of Hands and Teeth by Carrie Ryan, a 2010 Best Book for Young Adults. No one enters Mary’s village and no one leaves. To do that, one would have to face the Forest of Hands and Teeth, the forest where the Unconsecrated lurk in the darkness, ready to bite and tear and kill. If you get bitten by one of the Unconsecrated you become Infected and have nothing before you but your death and Return. Mary lives in fear day after day, waiting for the inevitable breach of the fences that protect the village. But one day, an Outsider stumbles upon the village, proof that life still exists beyond the Forest. The existence of the Outsider brings Mary hope. 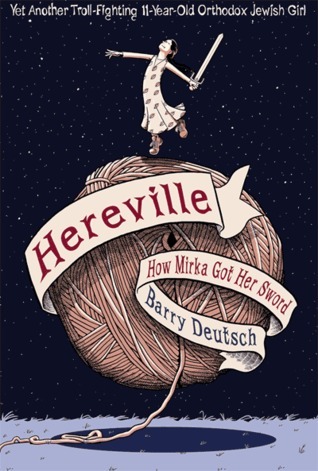 She becomes determined to escape the village and the Sisterhood by finding life outside. With her friends, she embarks on a journey through the forest, a journey that will end in either her salvation or her demise. By Erin Daly February 5, 2010 February 6, 2010 Lists, YALSA Info. It seems to me that it is in the nature of librarians to be interested in lists. Lists are a way of cataloging, qualifying, and creating memorable criteria- information that can be retrieved later- about a topic. This is similar to the way we approach our collections. What better way to organize and remember all of the books we want to share? Or apps? Or other resources? See, I’m making a list already. By admin January 20, 2010 January 20, 2010 YALSA Info. You can learn more about all of YALSA’s selected lists, as well as our literary awards, at www.ala.org/yalsa/booklists. Thank you to all our hard-working committees for creating this year’s lists. By Stephanie Kuenn January 16, 2010 January 16, 2010 YALSA Info. YALSA’s board just unanimously approved Board Document 14 (PDF; Selected List Portfolio Proposal)’ in its entirety, which will affect several YALSA selected booklists and awards, notably Best Books for Young Adults and the Alex Awards. YALSA President Linda Braun will go into more detail’ on the blog after the YALSA Board adjourns this evening at 5:30 p.m. The current standing Best Books for Young Adults Committee will have an updated charge for its work in order to focus solely on annual publications of fiction (not including graphic novels) published for young adults. In order to reflect this change, the name of the list will become Best Fiction for Young Adults. The number of books honored by the Alex Award will be increased. The ten winning titles will appear in addition to a list of the committee’s official nominations.